** New On The Lettings Market ** Bob Gutteridge Estate Agents are delighted to bring to the lettings market this beautifully presented EXTENDED semi detached home situated in this ever popular Porthill location which is ideally placed for access to both the A34 & A500 as well as being located near to local shops, schools and amenities. 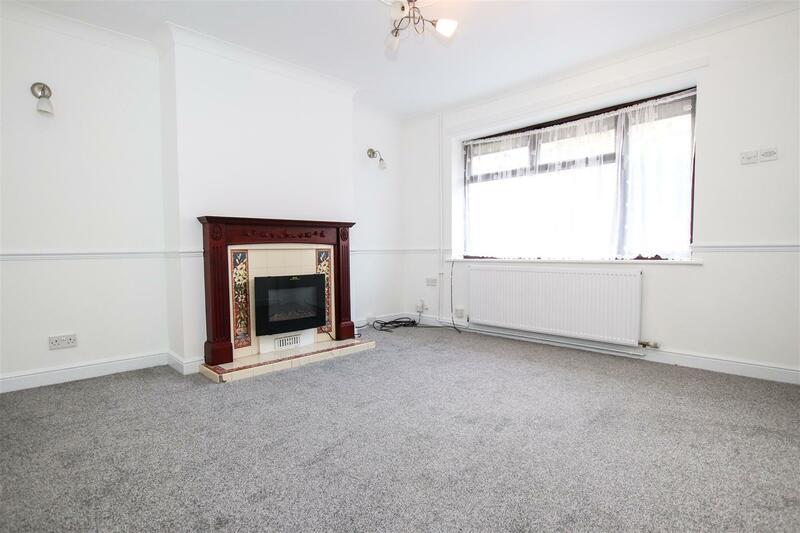 This property is enhanced with double glazing along with gas central heating and offers a pleasant layout of accommodation comprising of entrance lobby, lounge, fitted kitchen / dining room, downstairs and to the first floor are three bedrooms along with a first floor bathroom. 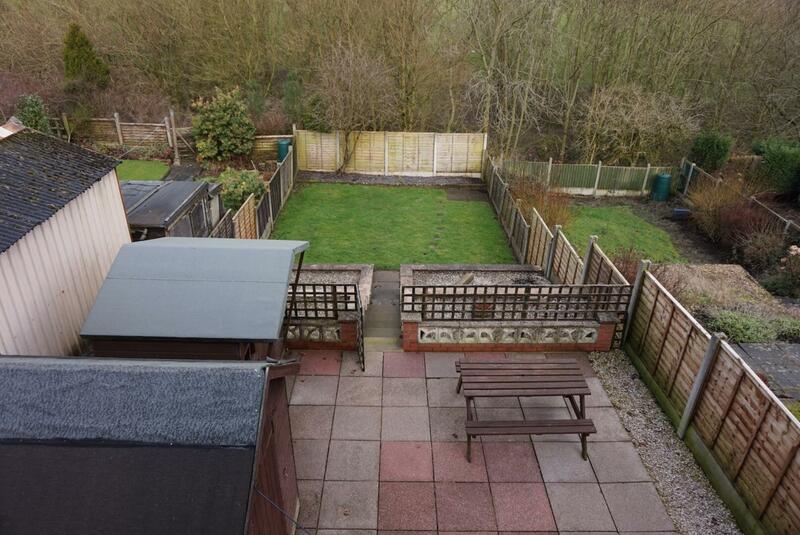 Externally the property offers gardens to front and rear along with off road parking. Internal Inspection Essential ! 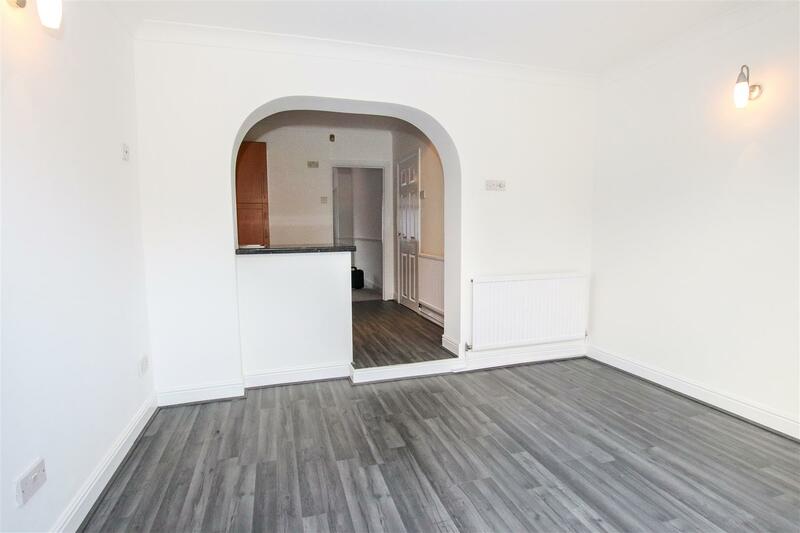 With double glazed window to side, coving to ceiling, pendant light fitting, wood effect laminate flooring, single panelled radiator, white low level WC. 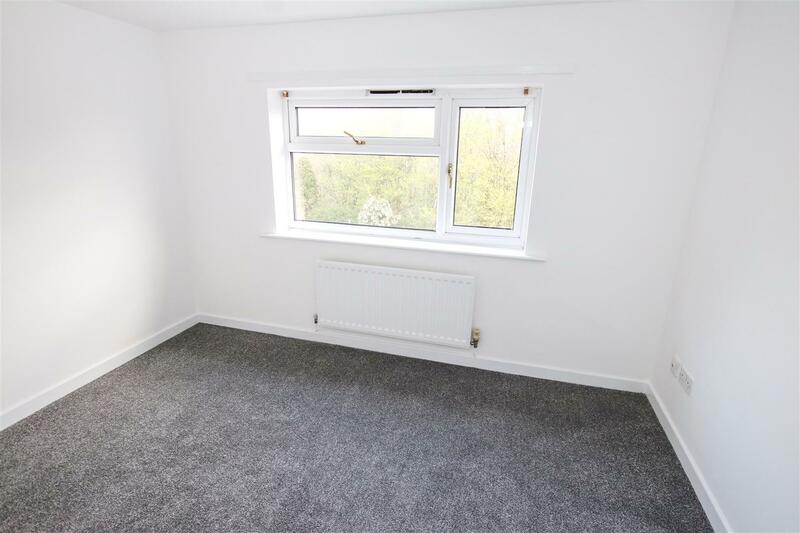 With Upvc double glazed sliding patio door to rear, coving to ceiling, three lamp light fitting, two wall light fittings, wood effect laminate flooring, internet connection point subject to usual transfer regulations, single panelled radiator, four power points. With double glazed window to side, artex finish to ceiling, pendant light fitting, access to loft space, two power points. 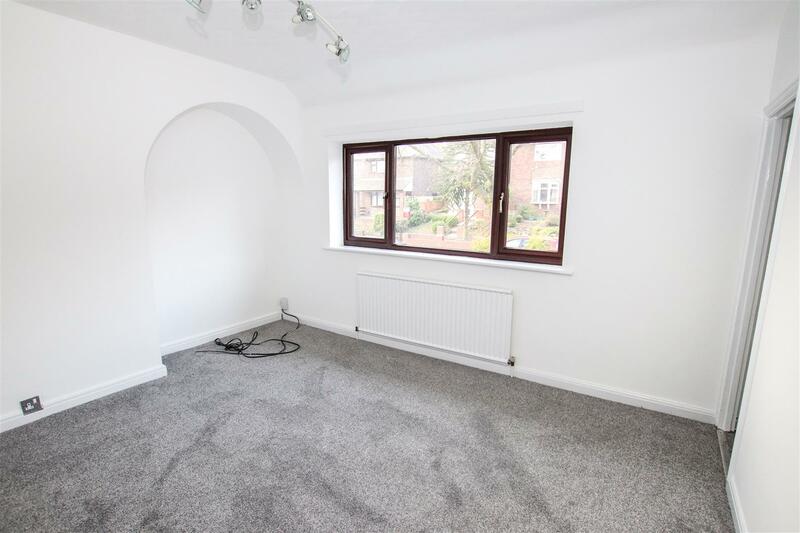 With double glazed window to front, artex finish to ceiling, three lamp light fitting, single panelled radiator, built-in wardrobe providing ample hanging space and storage space, overbed storage and dressing unit. Built-in store providing ample hanging space and storage space, two power points. With double glazed window to rear, four lamp spotlight fitting, six power points, t.v. 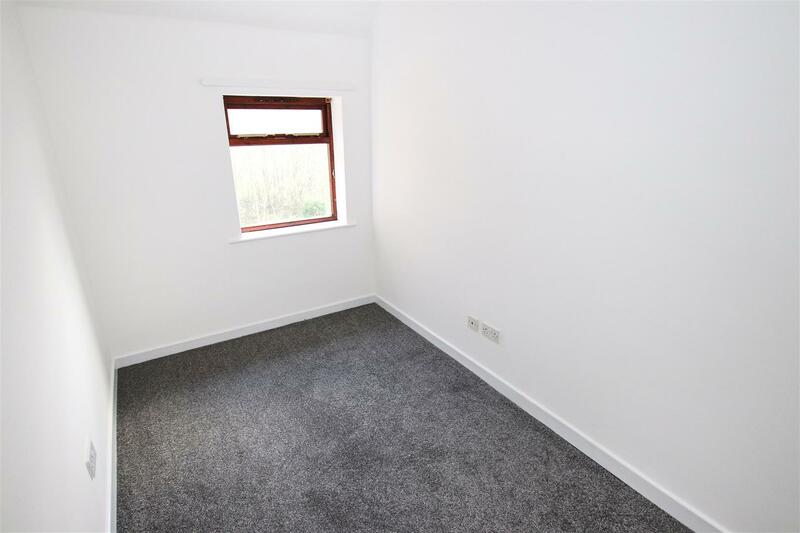 aerial point, single panelled radiator. With Upvc double glazed window to rear, four lamp spotlight fitting, single panelled radiator, t.v. aerial point, four power points. With double glazed window to side, two lamp spotlight fitting, artex finish to ceiling, champagne coloured suite comprising of low level WC, pedestal sink unit and built-in corner bath unit with Essentials electric shower and ceramic splashback tiling with inset patterned tile, extractor fan, double glazed window to side, built-in airing cupboard with lagged copper hot water cylinder, power point, time clock and programmer, ample drying space and storage space. Bounded by concrete post and timber fencing, flagged area providing ample patio space, established shrubs to borders, wrought iron gate, tiering down with gravelled areas to sides for ease of maintenance, further wrought iron gate to lawned section, further patio space, wealth of shrubs and conifers, two external garden sheds. 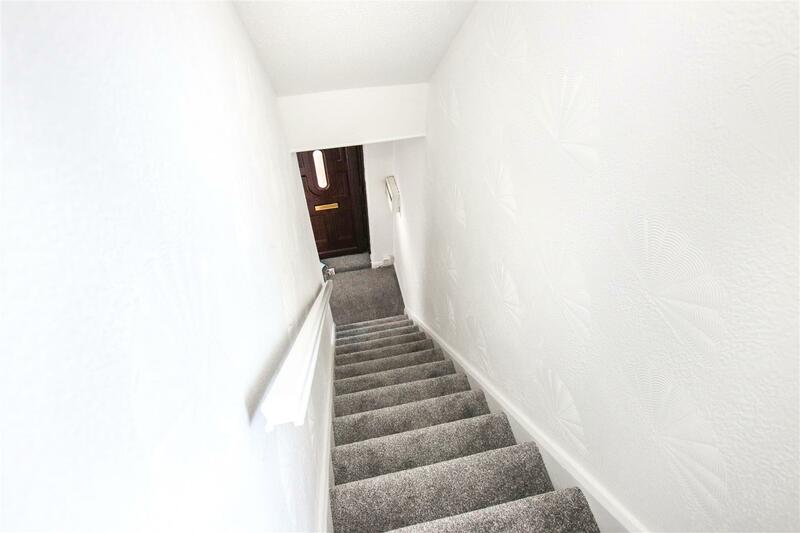 Strictly by appointment with the Agents at 2 Watlands View, Porthill, Newcastle, Staffs, ST5 8AA. Telephone number: 01782 717341. From Porthill office proceed down Porthill Bank, turning second left to First Avenue, proceed around the corner and into Hillport Avenue, where number 57 will be found located near the top on the right hand side. 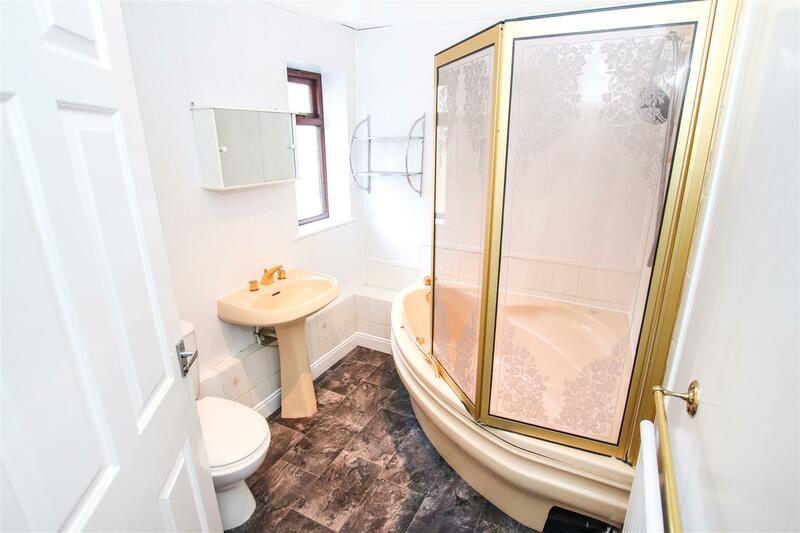 The property is offered to let for a minimum term of six months at £650.00 per calendar month exclusive of council tax, water rate and all other normal outgoings. A deposit of £750.00 will be taken against damage/breakages etc. 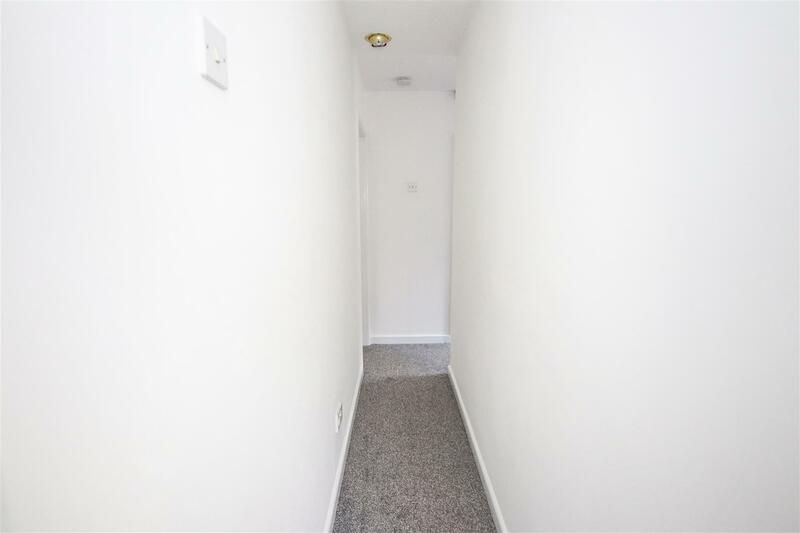 The tenant will be expected to pay a non returnable fee of £105.00 including VAT, on application, to cover the costs of referencing, preparation of lease etc and there will be an additional £50.00 including VAT if a guarantor is required. Sorry no pets. Sorry no smokers. Before you are granted a tenancy, you will have to demonstrate your eligibility under the Right to Rent 2014 to establish your immigration status, there is a cost of £19.20 payment payable direct to Ifaqs Ltd for this check.